It's hard to believe it's been two years since I've reviewed an audiobook! 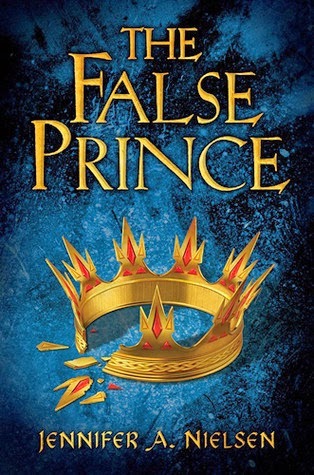 Jennifer A. Nielsen's The False Prince is a great re-entry into the media. Full of action and brought to life by Charlie McWade, I looked forward to cooking and cleaning, the two times I get to listen to audiobooks (Bogota isn't earbud-friendly). This is a perfect book for my students, who love fantasy novels, series, and plot twists. They will be captivated by the story of Sage, an orphan who is selected to secretly compete for a chance to pretend he is the long lost Prince Jaron and inherit the kingdom. Sage is someone the kids will admire: he always has a snappy comeback, hides his skills until the opportune time, and is always one step ahead of the villains, who are everywhere in The False Prince. With the large amount of books that I want to read, I don't always read entire series; I will read the first book and then move on to the next. My students tell me that the third book in this series is the best, so I guess I'm into the Ascendance Trilogy for the long haul! Fans of The Ranger's Apprentice series will love this one.